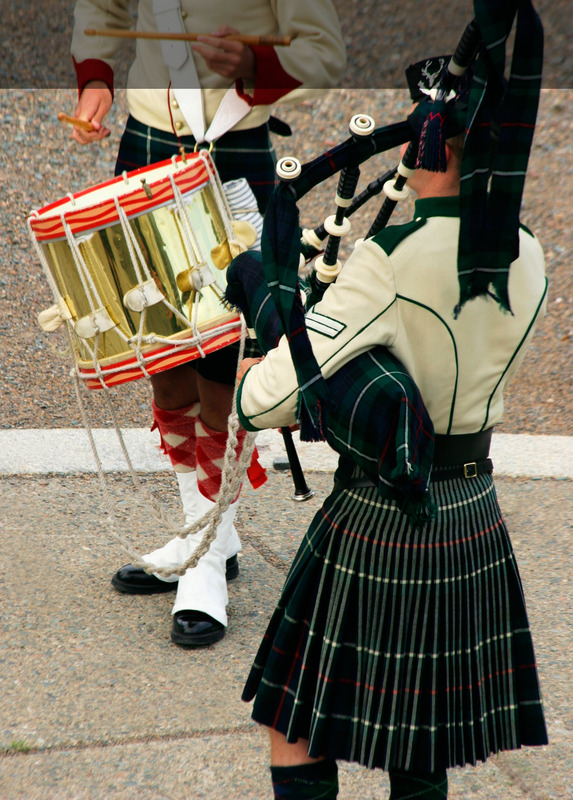 Brand Your Marching / Pipe and Drum Band! 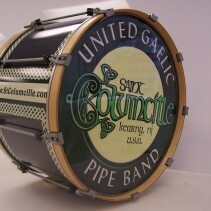 Home » Branding» Brand Your Marching / Pipe and Drum Band! » Posted by drum on Mar 5, 2014 in Branding, Custom Bass Drum Heads, Custom Designed Flags, Custom Drum Decals, Custom Parade Banners | Comments Off on Brand Your Marching / Pipe and Drum Band! Your band is on the march. Practice and planning has been meticulous and your presentation reﬁned to the last polished button. You’ve put in a lot of time and effort to get to this point. But is your band representing your image to the fullest? Your band is a powerful messenger of spirit and identity. Your name, and your logo, are at the center of your band’s franchise. And DrumImage can help support this brand identity by adding full color, highly durable graphic images to your bass drum heads. Your audience will notice the difference – and so will you. 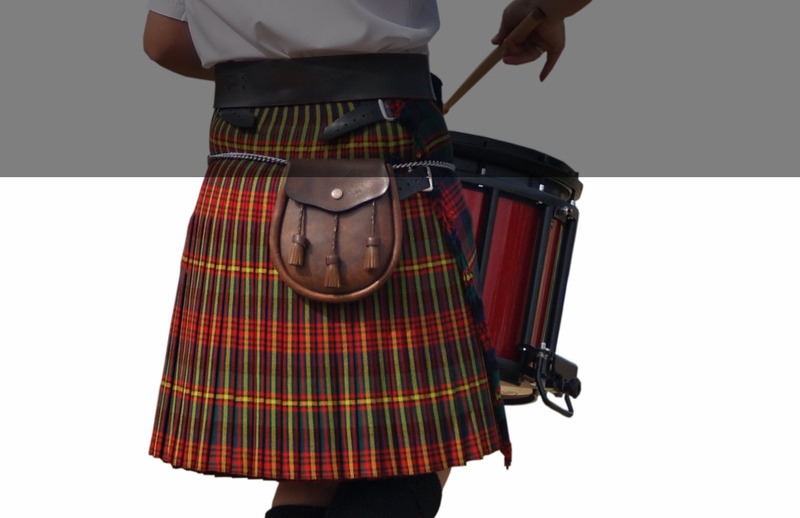 DrumImage is used by many leading Pipe & Drum bands, Collegiate, High School, and Competition Marching Bands across the country. Those bands that compete appreciate the high sound quality resulting from our patent pending graphic application process, while bands of all levels appreciate our superior durability. 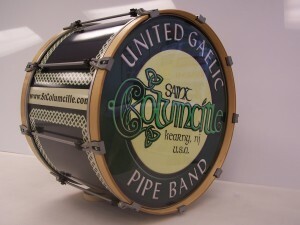 And regardless of your band’s competitive interests, the dramatic visual impact of our DrumImage heads will enhance your name recognition and add signiﬁcantly to the overall image of your band. 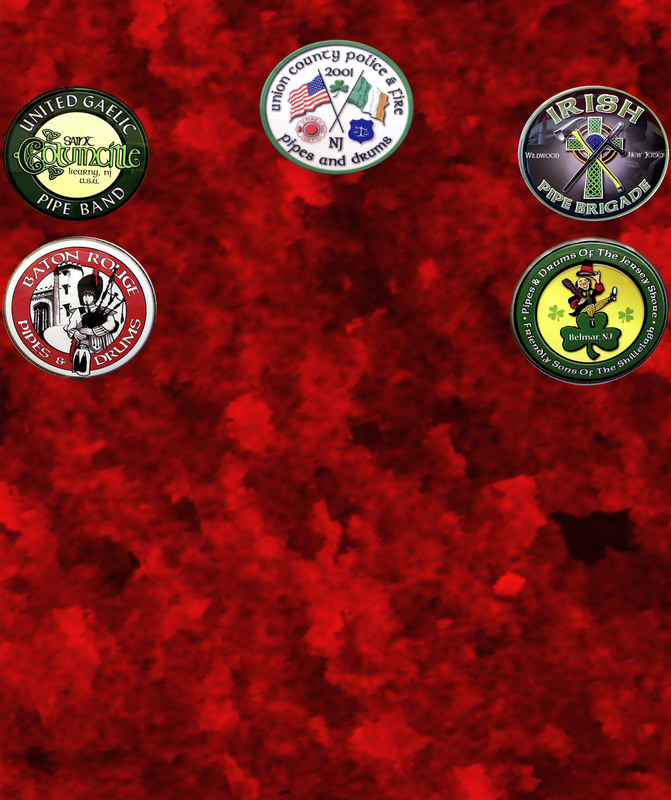 DrumImage specializes in the graphic design and production of drum heads and we are unmatched in our quality of service in this highly specialized area. If you would like to learn more about DrumImage products and services, please phone us today at 732-882-1886 or email us at info@DrumImage.com.